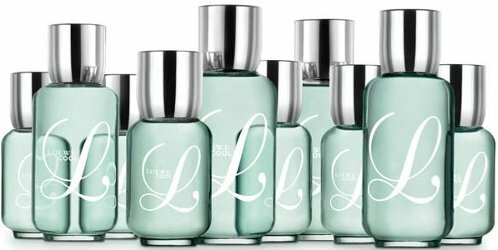 Spanish house Loewe will launch L Loewe Cool, a new fragrance for women. L Loewe Cool is a flanker to 1972's L de Loewe, the brand's first perfume, and follows 2010's L Loewe. More than forty years ago, L de Loewe was conceived as an accessory which would be sold solely in the brand’s boutiques. It was created as a reflection of the women who inspired the brand’s breath-taking bags and collections. Today, Loewe has revived the name of its first fragrance to pay homage to today’s woman; someone who is jovial, outgoing and sociable. L Loewe Cool has a feminine, fresh and floral heart note featuring the aqueous scent of gardenia, the absolute opulence of rose and the aromatic charm of jasmine. Additional notes include white amber, vetiver and patchouli. Loewe L Loewe Cool will be available in 50 and 100 ml Eau de Toilette. With the giant “L” I think it should be Laverne DeFazio and LL Cool J.